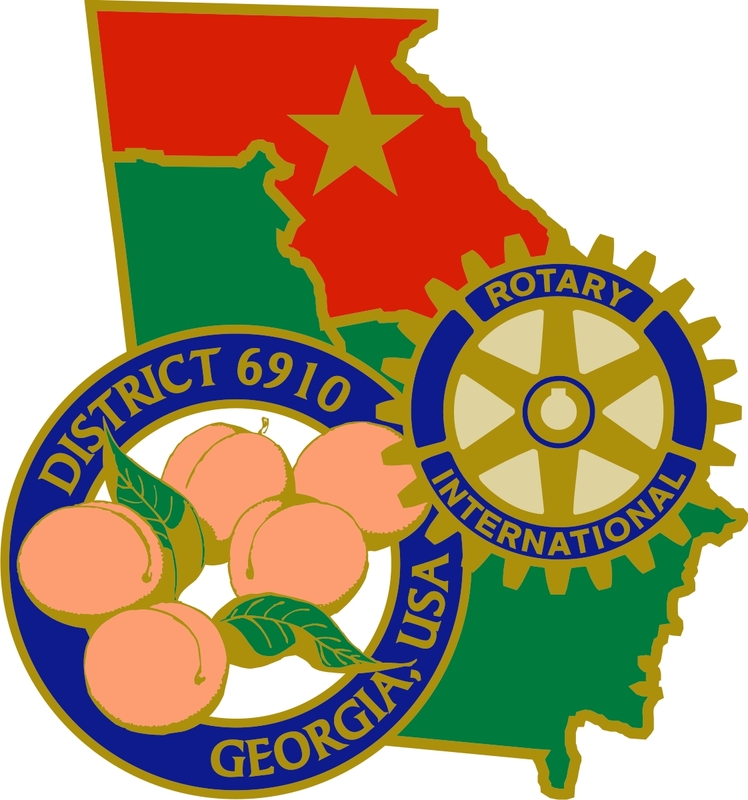 About 65 Rotarians from the Athens, Classic City and Oconee Rotary Clubs jointly celebrated World Polio Day in Athens. We watched the Gates Foundation presentation and then marched through downtown with the banner and went to the rooftop of the Georgia Theater and hung the banner over the edge of the wall while we enjoyed appetizers and drinks. 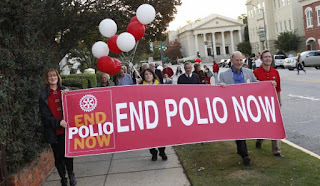 While the emphasis was not as a fundraiser, we raised $190 for Polio. 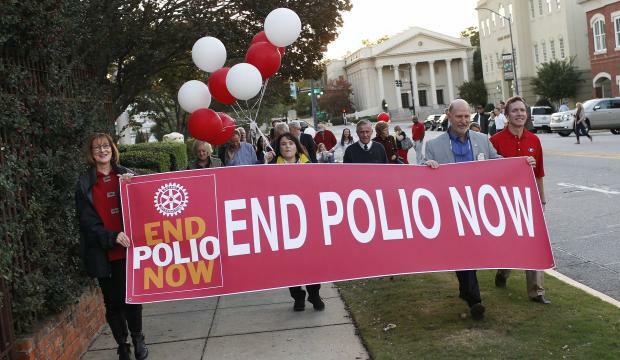 When matched by the Gates Foundation, that’s $570 for Polio. When polio vaccinations are administered, the pinky is painted purple to show the child has been vaccinated. 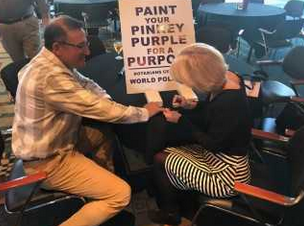 The Rotary Club of Hartwell recently celebrated World Polio Day, painting members' pinky fingers purple for polio awareness. 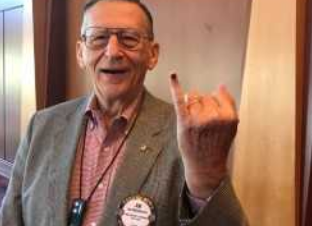 Past District Governor Joe Whittemore, a polio survivor, proudly shows his purple pinky.